Karela has various therapeutic properties and it is one of the healthiest vegetables. 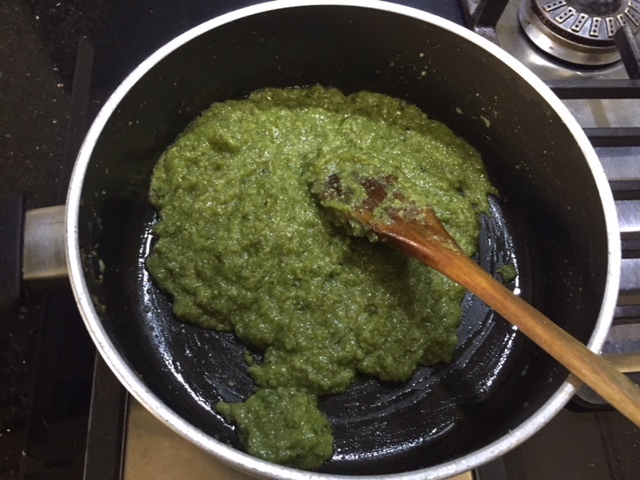 My mom-in-law used to make a variety of dishes with bitter gourd during my pregnancy and post delivery. This halwa is one of them. She added extra ghee and dry fruits but here I have reduced the quantity. 1. 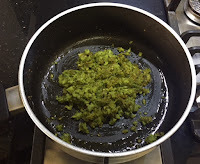 Wash the karelas, peel them and discard the seeds. 3. 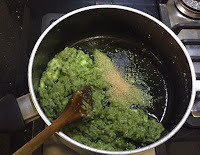 Grind them in a mixie without adding any water. 4. 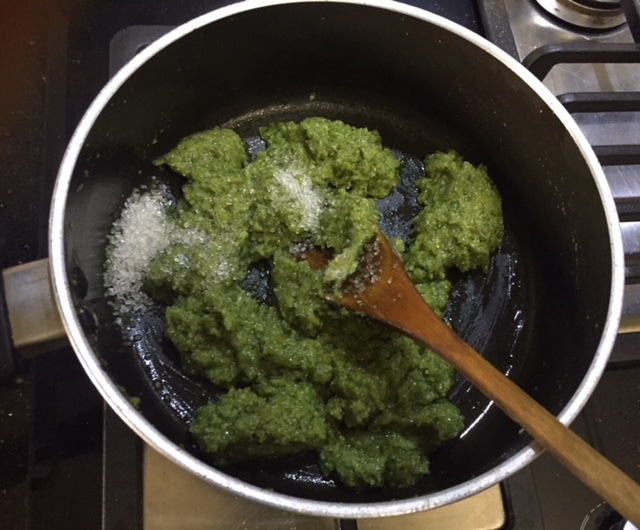 In a pan heat the ghee and add the ground karela paste. 5. Stir fry for about 5 minutes until the water is evaporated. 6. Now add the milk and allow it to simmer for few minutes until the karela mixture gets cooked. 7. 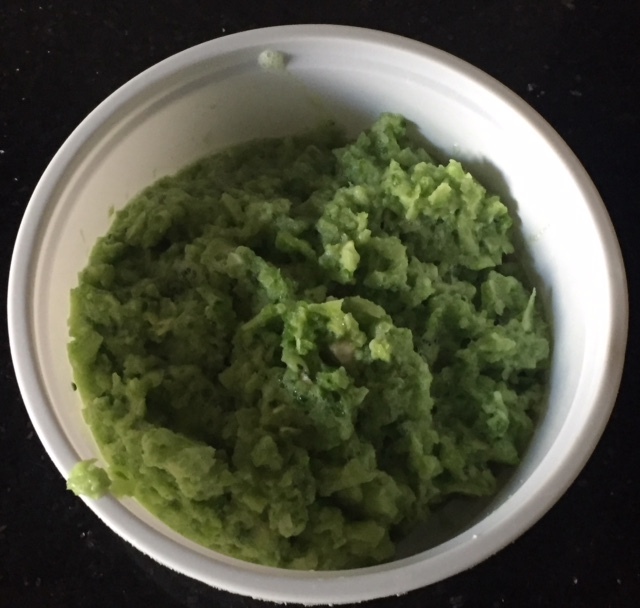 Tip in the khoya and mix well. 8. Add the sugar and stir it until it melts. 9. Now add the poppy seeds. 10. Keep stirring until the mixture leaves the sides. 11. Add a portion of dry fruits to the halwa and save some for garnishing. A very caring and adventurous effort. Think will try it. Please do make it and share the feed back. 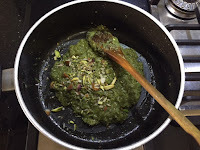 Looks delicious, I have never tried Karela ka halwa. OMG this is totally different from the other halwas I have eaten. Must be delicious. Yes Archana .. It was very nice... not at all bitter as I expected. Only a slight after taste of bitterness. Interesting way of using Karela and kids can also enjoy this. Yes Priya.. and you can surprise your guests to guess what it is made of before they taste. Shobha, Im not a fan of karela at all. Its the first time I've come across a sweet preparation using this bitter vegetable. It does look good and love the colour. 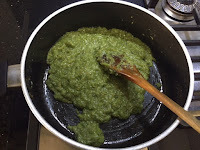 Even I made it for the first time ..I was surprised too when my friend made this halwa. 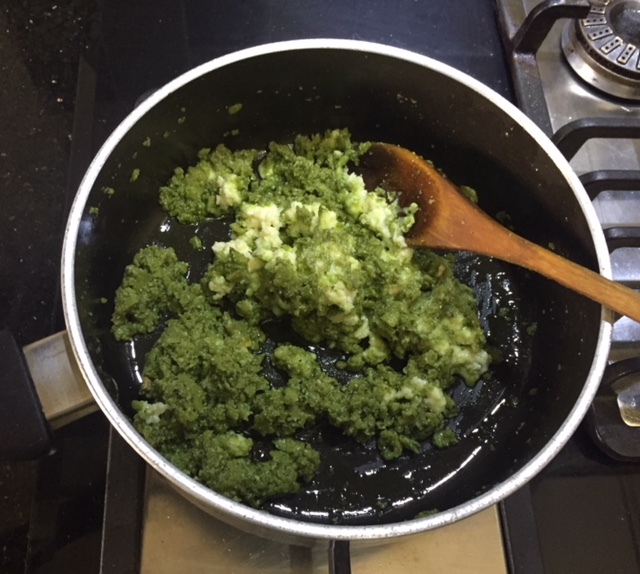 I would have never ever thought of making a halwa using Karela...What an innovative idea to use a bitter veg into a sweet dish! Thanks Ruxana.. do give it a try. 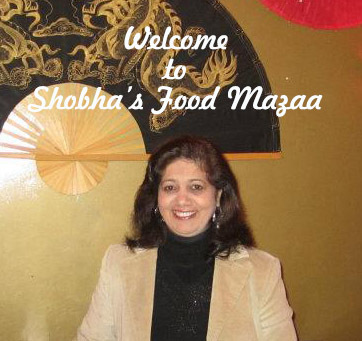 This is a new recipe for me Shobha. I have never had karele ka halwa. Looks so yummy! Thanks a lot Sandhya . 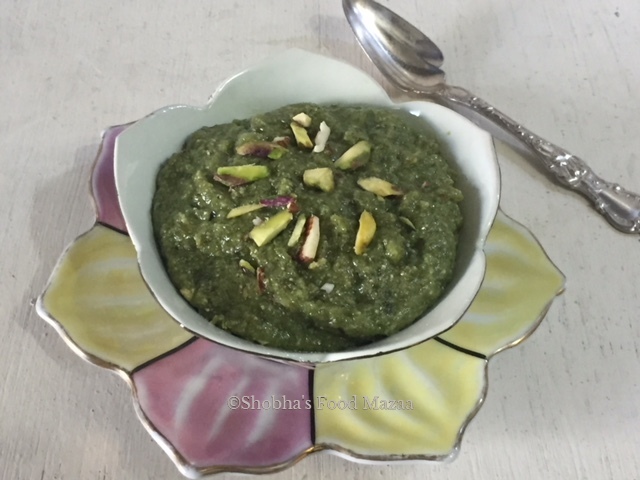 Very unique halwa, and am sure this halwa will definitely surprise everybody if you reveal the secret ingredient. Definitely a fabulous sweet with bitter better bittergourd. Yes Priya.. you can actually have a quiz for your guests. Now this is an unique recipe. I agree with Priya, what a surprise it will be for anyone who tastes it; first in that line being me. Ha ha.. true. It indeed is a great recipe and a surprise packet for the guests. Thanks Rafeeda.. try zaroor karna. 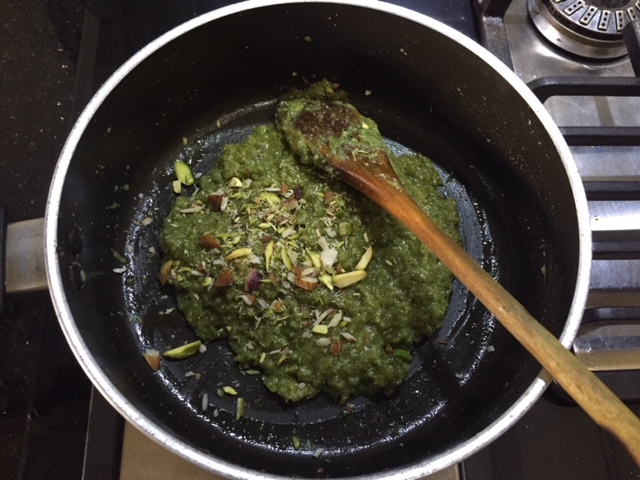 Wow halwa with karela, never thought of it ever, loved your recipe would try soon. Do make it and share the feed back. Wow! 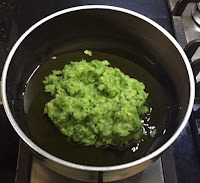 Karela halwa may force me to eat karela after all! 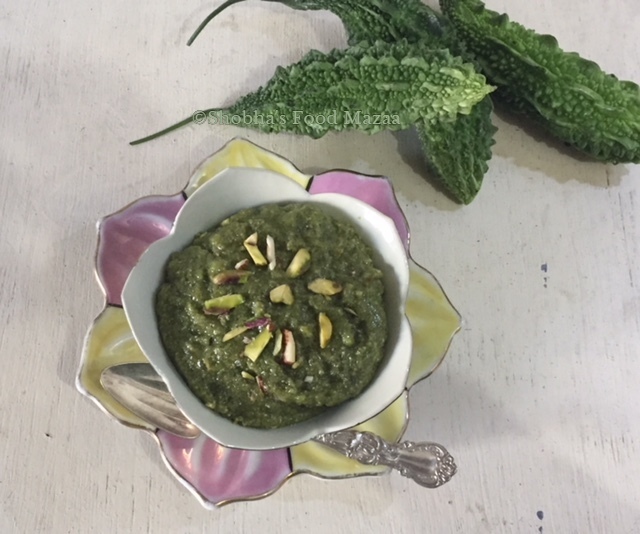 I love halwa but I have a love hate relationship with karela. I will try! Then you must really give it a try at least once.. Thanks for the compliment Ruchi. Such recipes when cooked by elders of family always remain a treasure! I Love bitter gourds in any form but have never tasted a halwa. 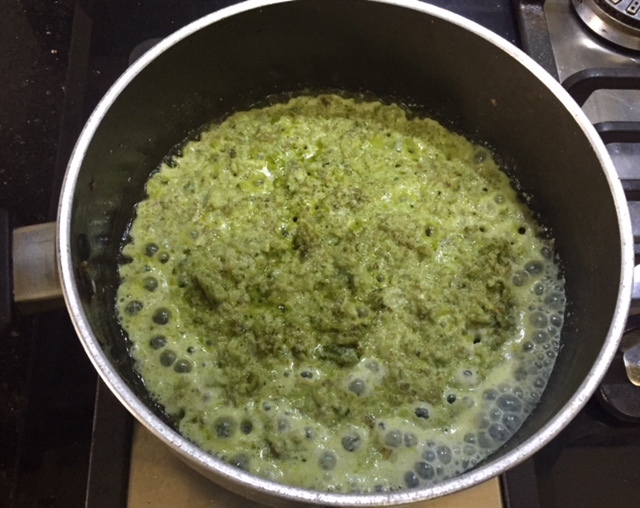 I see lovely ingredients like poppy seeds, khoya and almonds which might have done great justice in reducing the bitterness and lending a great taste. Loved the effort and kudos for the attempt. Yes Vidya.. these recipes are treasures. Jyoti you must try at least once.. I am sure you will like it. Now that's a revelation for me! How wonderful to turn something bitter into a delicious dessert! Brilliant! Thanks for the compliment Maria. Seriously are you kidding me, karela in halwa. Omg I can never imagine the taste unless I made it myself. But if you are saying it must be tasty. Sapana dear, do make it and give me the feed back.. hope you will like it. Wow kidding ,Halwa with Bittergoud ,never thought of this. Awesome share da.. A must try recipe.. Surprised to see your recipe. 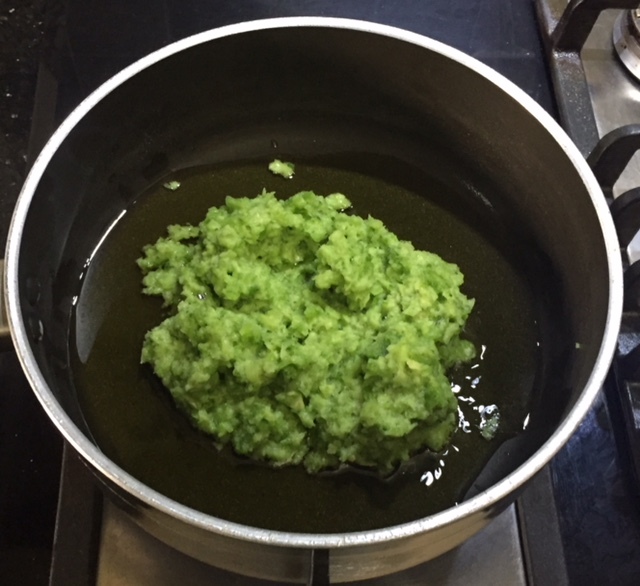 Never imagined myself making halwa with bitter gourd! I think this time i can try it out. Do give it a try Uma. Lol.. Seema.do try it out. 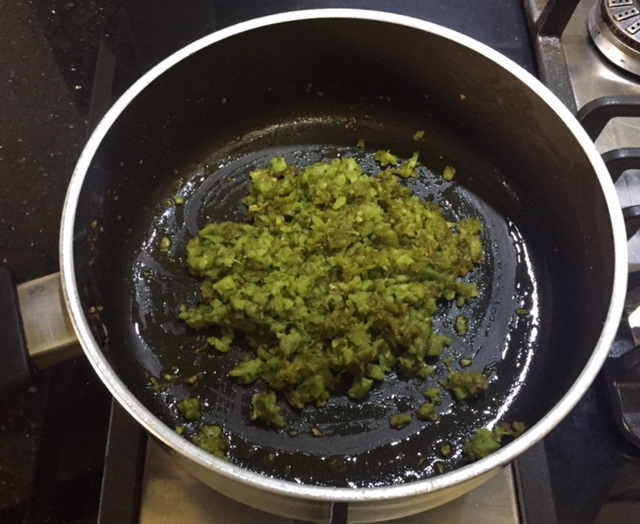 Dont even think f making halwa from karela !!!!!!! OMG, such a intersting share :) love to try my hand. Make and share the feedback dear. Never thought I will come across karele ka halwa. Just wondering was it still bitter after all this cooking? It has a slight bitter after taste.. but very delicious while eating. 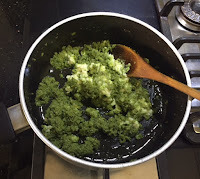 Unique and healthy recipe.I have never tried Karele ka Halwa.Does it taste slightly bitter? Thanks Preethi.. slight bitter after taste is there. Yes Priya.. do give it a try .